I am a sucker for subscription boxes. Like, I just love the idea of getting a surprise ‘gift’ in the mail. Did I pay for it myself? Yes. Does it feel like a fun gift because you don’t actually know what is in it? Hell yes. I am also a self proclaimed bargain hunter, so the idea of getting a good value on something (which is semi the point of subscription boxes) also entices me. I am pretty freaking psyched that the equestrian community is catching on-to this trend. 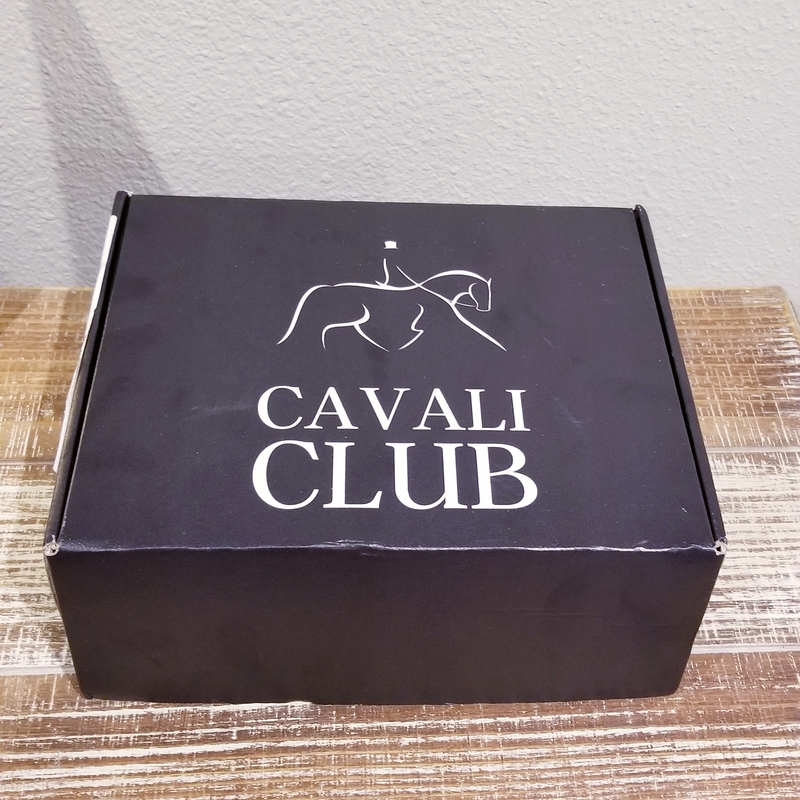 The latest box to add my my obsession is the Cavali Club subscription box, which retails for $55.